Originally published in The Middle East in London Magazine 12(4): 9-10 (June 2016). European policymakers were quick to hail the ‘effectiveness’ and ‘success’ of the EU–Turkey ‘joint statement on refugees’. Today, opinions and circumstances have changed. Since its adoption in March 2016, a series of public communiqués and reports have been widely dispatched to explain the legal rationale for the deal as well as its financial costs and expected political benefits. 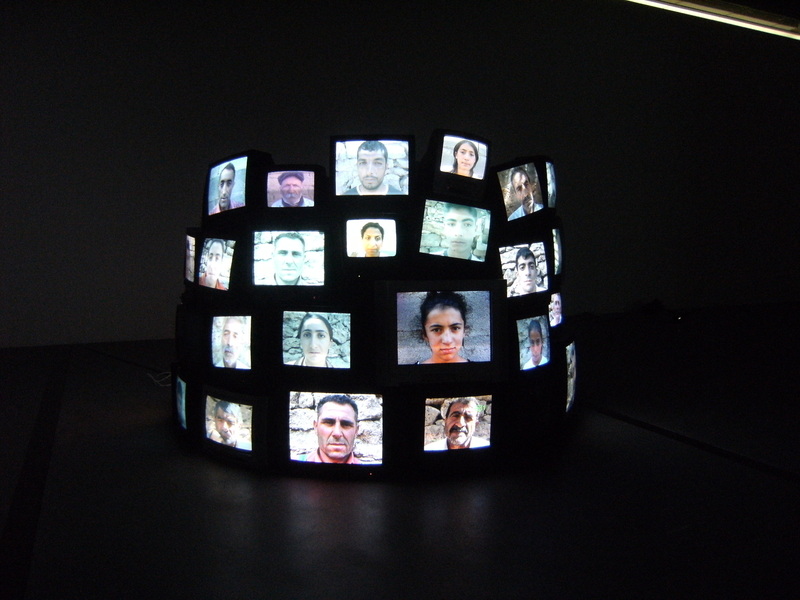 Concomitantly, there has been growing controversy among human rights organisations and migrant-aid associations as well as contradictory academic debates over whether or not A) the EU–Turkey deal is a legally binding agreement or a non-legally binding statement; B) the non-refoulement principle enshrined in the 1951 Geneva Convention on refugees and the EU Charter of fundamental rights will be respected given Turkey’s geographically limited application of the Refugee Convention; C) Turkey is a ‘safe third country’ for asylum-seekers given its explicit desire to expedite the deportation of third-country nationals once new bilateral readmission agreements with a number of countries of origin in Asia and in Africa enter into force and, finally, D) the Greek and Turkish legal systems will in practice deal with individual asylum claims given the backlog they respectively face. Be it based on an agreement or a statement, the deal remains contingent on how viable the bilateral cooperation on readmission between Greece and Turkey will be in the short to long term. Both neighbouring countries operate under the umbrella of the EU–Turkey deal which financially and logistically facilitates their bilateral cooperation. It is in this specific context that Greece and Turkey reactivated their bilateral cooperation by signing a joint declaration in Izmir on 8 March 2016, just one day after the Brussels international summit of the EU heads of state and government with Turkey. Whereas the Brussels summit was primarily aimed at addressing the so-called ‘migration crisis’ by removing ‘all migrants coming from Turkey to Greece that are not in need of international protection’, the Izmir joint declaration between Greece and Turkey set out to graft the issue of readmission onto a broader framework of bilateral cooperation including energy security (e.g. Trans-Anatolian Natural Gas Pipeline, Trans Adriatic Pipeline, Southern Gas Corridor), intermodal transport (e.g. development of the rail corridor Igoumenitsa-Thessaloniki-Istanbul), trade and tourism, water management (e.g. the Evros-Meriç river) and the fight against terrorism. It has to be said that grafting readmission onto a broader framework of interactions is not uncommon. Other EU member states (the United Kingdom, France, Italy and Spain, to mention but a few) have already excelled in this practice. EU policymakers know that the costs and benefits of the cooperation on readmission are too asymmetric to ensure its durable implementation. Moreover, Greece, just like other EU member states, has learned that cooperation on readmission cannot be viewed as an end in itself, especially when dealing with a strategic and empowered non-EU partner country, which Turkey certainly is. Readmission is just one of the many means of consolidating a bilateral cooperative framework including other strategic (and perhaps more crucial) issue areas. There is no question that the recent Greek–Turkish deal concluded in Izmir constitutes a key element which will strongly determine the whole EU–Turkey relations, in the broadest sense. Perhaps, never before has bilateralism been so intertwined with supranationalism, when one understands all the stakes at play in the unprecedented Greek–Turkish rapprochement. On the one hand, Greece has succeeded in preventing any threat of eviction from Schengen. On the other hand, not only has Turkey managed to appear as a credible player in migration talks and in the control of the EU external borders, it is now in a position to exert its strong leverage while capitalising on the expected benefits of its publicised cooperation with the EU. Expected benefits do not only pertain to the EU visa waiver for Turkish citizens – if and only if Turkey effectively fulfils the numerous requirements set by the EU. Among many others, they also refer to the perceptibly growing legitimacy that the current Turkish leadership has gained in the West despite the barely veiled repression of its own minorities, attacks by the Turkish public authorities on academic freedom and critical media and, last but not least, the reported civilian casualties stemming from the armed struggle in the Southeast region between Turkish security forces and the Kurdistan Workers’ Party (PKK). Has the possibility of critically examining these recent political developments become hopeless when realising the growing consensus on which they rest? To reply to this tricky question, three basic considerations need to be emphasised. The first one is that there is no evidence that the conclusion of a bilateral readmission agreement – aimed at deporting irregular migrants and rejected asylum-seekers from a national territory – tackles irregular migration per se, in the short or long term. Rather, the agreement just facilitates the cooperation between two contracting parties. For a readmission agreement deals with the consequences of irregular migration, not with its causes (poverty, conflict, insecurity, political violence, among many others). The second consideration lies in understanding that the highly publicised cooperation on readmission reifies the centrality of the state and its law-enforcement agencies, especially in a context marked by the escalating crisis of European political integration. The third consideration, closely linked with the second one, is that the prioritisation of readmission in the external relations of the EU and its member states is inseparable from a reflection on the ways in which the relationships between European states and their own constituencies have been reconfigured over the last four decades or so. This time span includes a series of economic and financial crises that have been conducive to the gradual retrenchment of the welfare state, weakened social dialogue, state divestiture, the ascent of populist and Eurosceptic political parties across the EU and, finally, endemic unemployment and labour uncertainties. Actually, readmission does not only coerce irregular migrants to leave a national territory. The lingering acceptance and banality of the drive for readmission in EU policy may also result from its ability to instil in the minds of European voters the illusion that the containment of migrants’ rights (be they European or not) will protect them from the containment of their own social and labour rights. If we decide to go through the looking glass of the drive for readmission, a host of ‘post-democratic’ challenges – to rephrase Colin Crouch’s famous expression – lie behind the rapprochement between Greece and Turkey and the EU-Turkey deal.